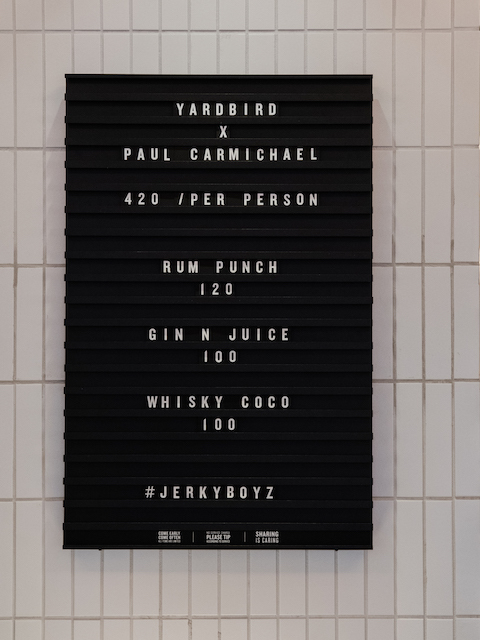 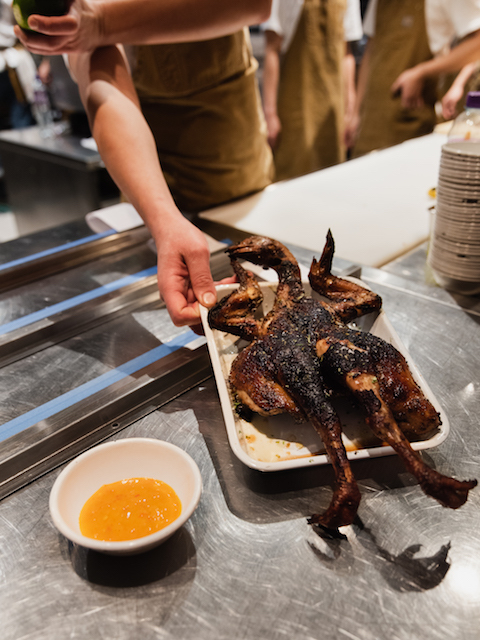 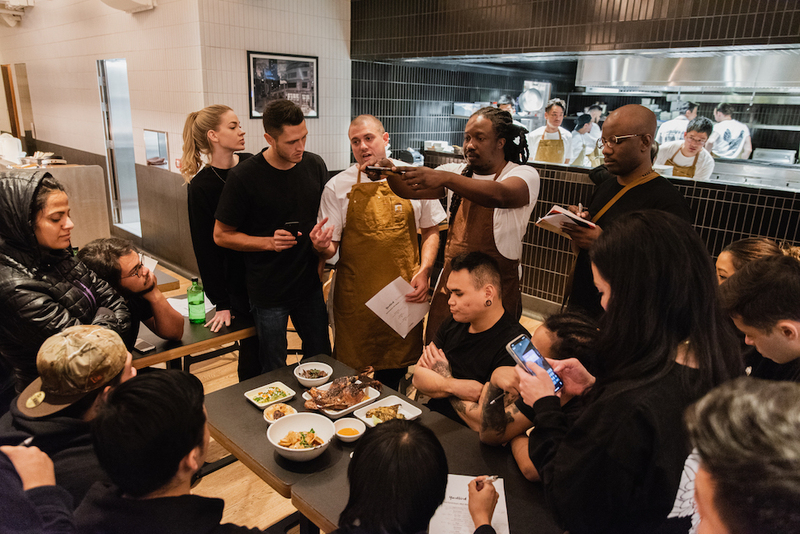 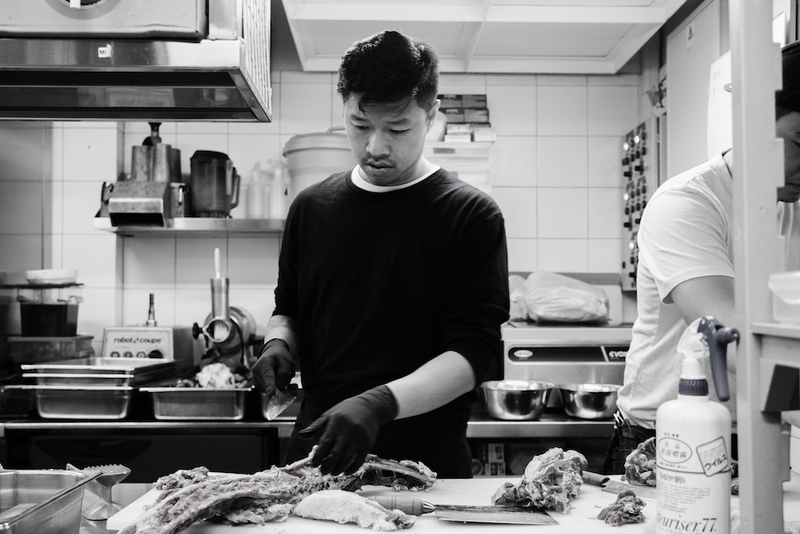 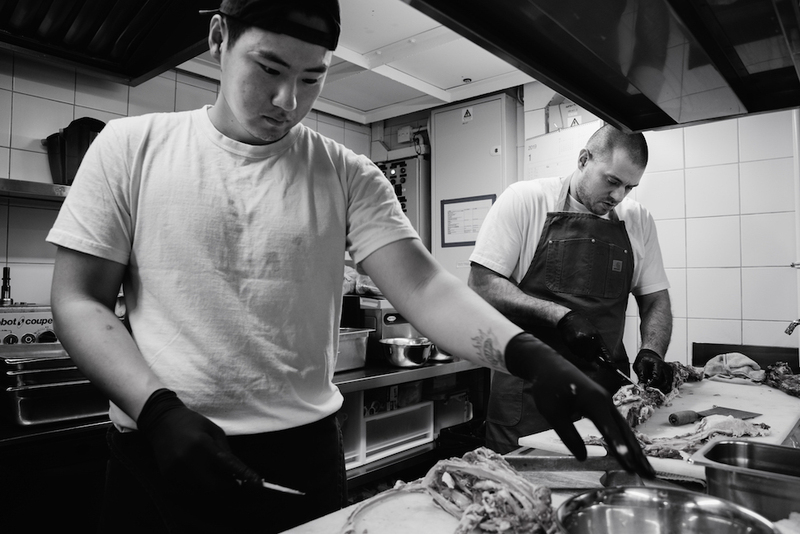 To kick off Yardbird’s guest chef dinner series, #JerkyBoyz, we invited Chef Paul Carmichael of Momofuku Seiōbo in Sydney, Australia to take over the YB kitchen on Monday, January 28th. 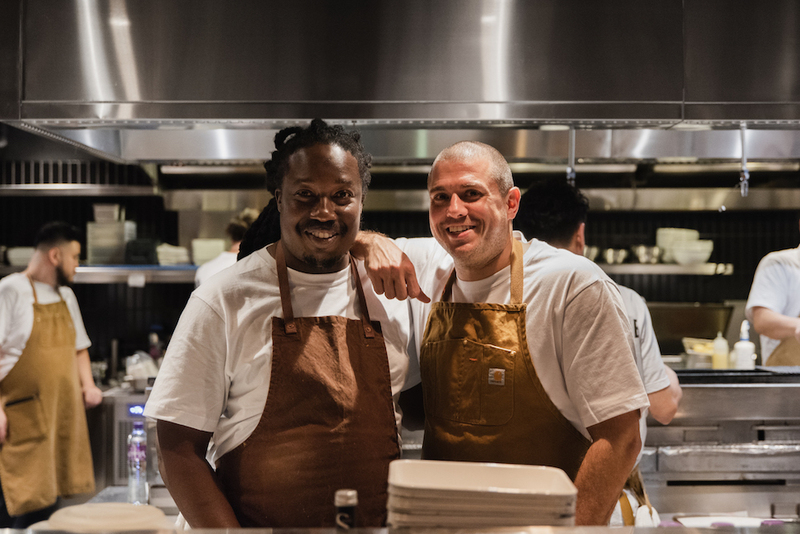 For one night only, Paul and Matt created a 7-course Caribbean-influenced family-style menu as well as delicious island-inspired drinks. 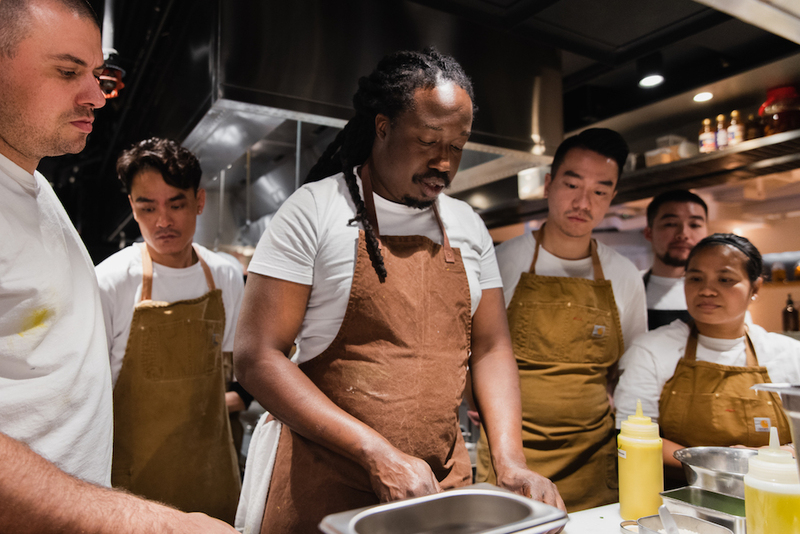 Paul is a Barbados native who graduated from the Culinary Institute of America before working in kitchens such as wd~50, Aquavit, Asiate, and the Tasting Room. 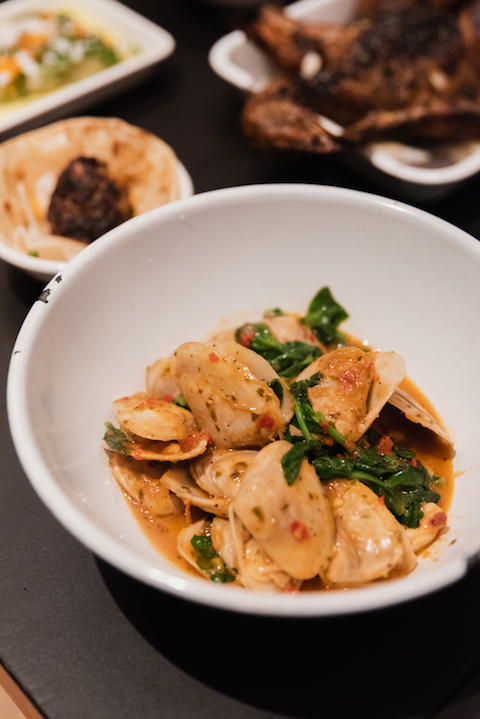 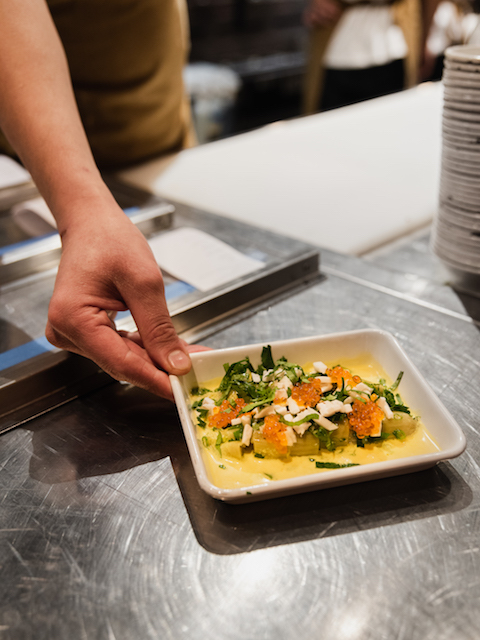 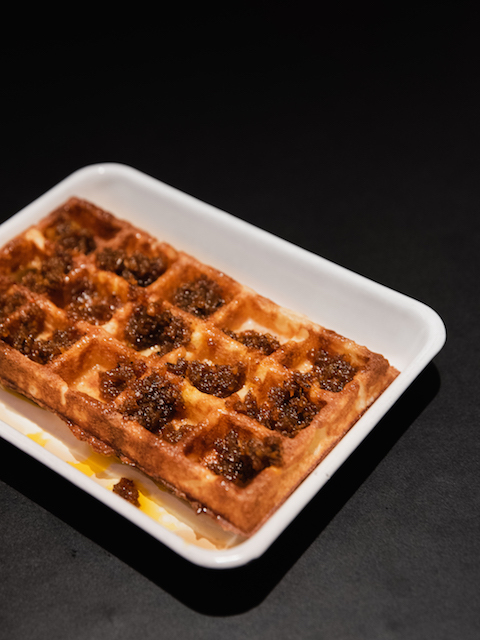 After serving as Executive Chef at Perla in Puerto Rico, he returned to New York in 2010 to join the Má Pêche team, first as Sous Chef and then as the Executive Chef. 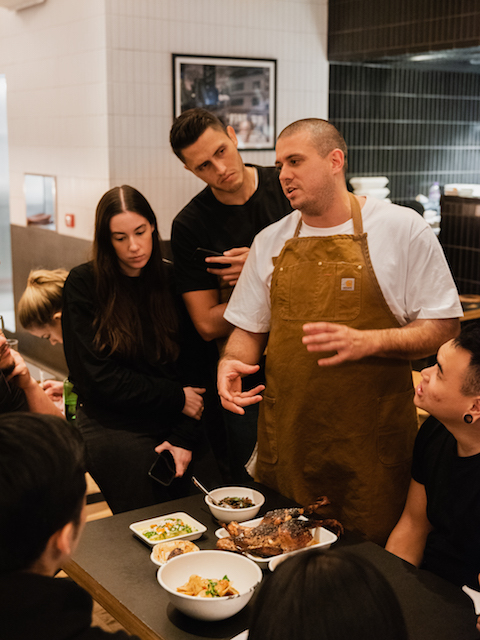 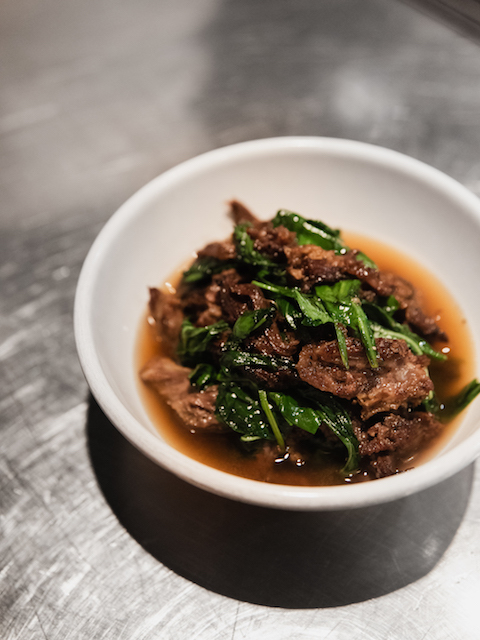 In 2015, Paul moved to Sydney to become the Executive Chef of Momofuku Seiōbo. 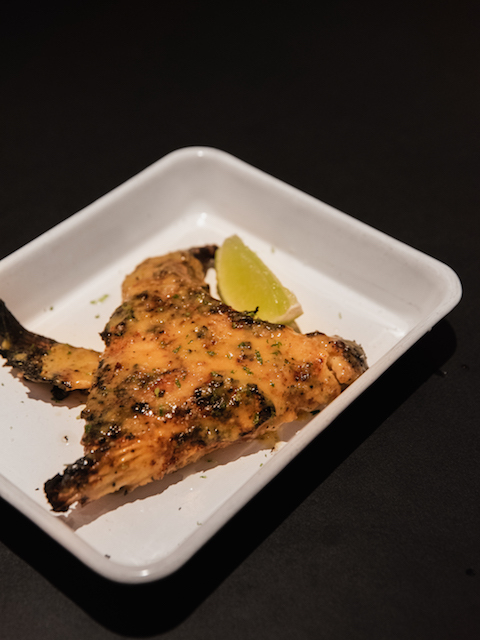 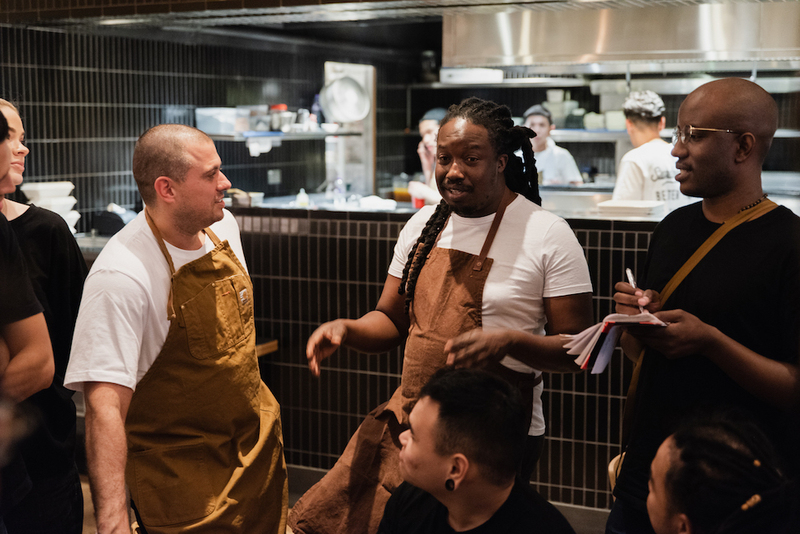 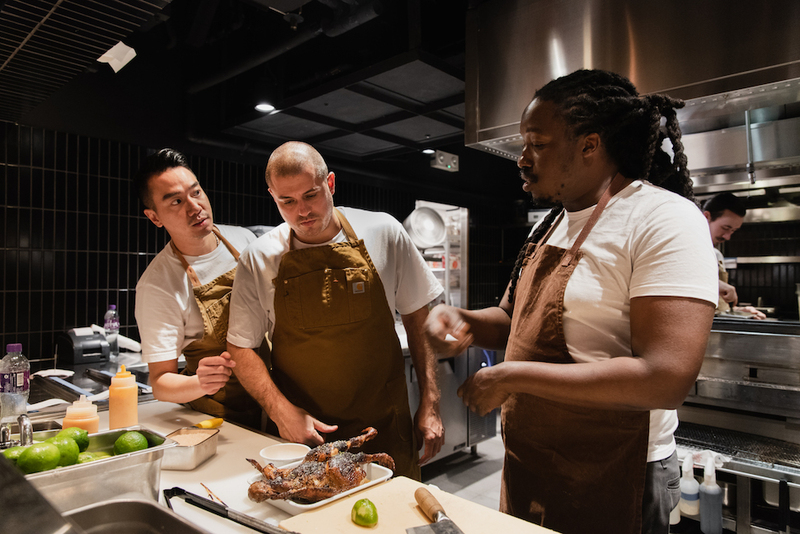 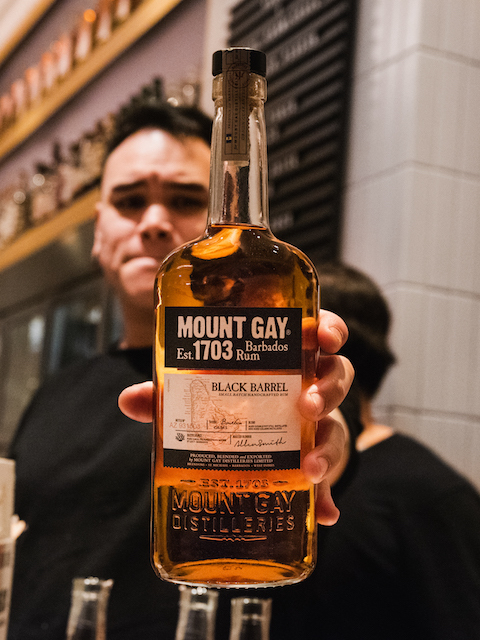 If you missed the chance to experience this inaugural event, scroll down to see all the action – from the prep of the curry goat to the pre-service briefing to the making of Paul’s Pop’s Rum Punch. 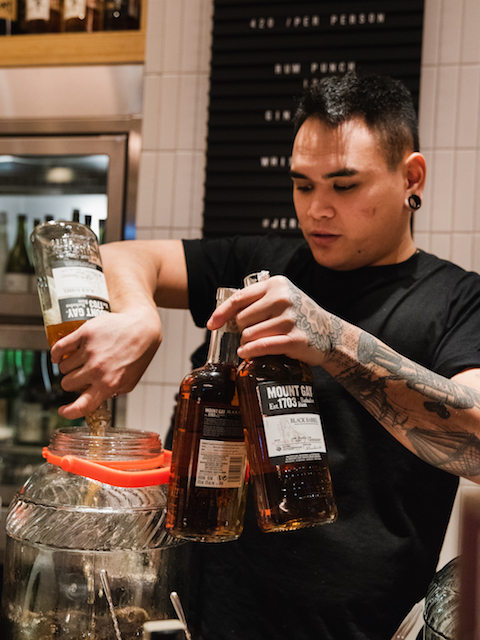 And make sure to check out Paul’s playlist from the night here.